This unique gluten-free cake flour will replace wheat flour cup per cup and there is no need for xanthan or guar gum. Just take any wheat recipe for cakes, muffins and cookies and substitute this flour for wheat. To get you started on the back of the package is a typical recipe for a White Cake. 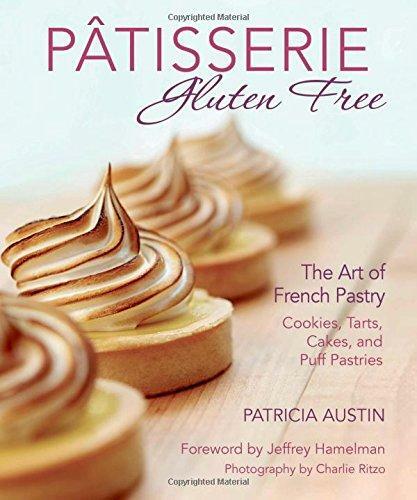 Many new recipes can be found using this flour in Patricia Austin's new book, "Pâtisserie Gluten Free:" The Art of French Pastry: Cookies, Tarts, Cakes, and Puff Pastries. This is one cookbook you want to have along with this flour. 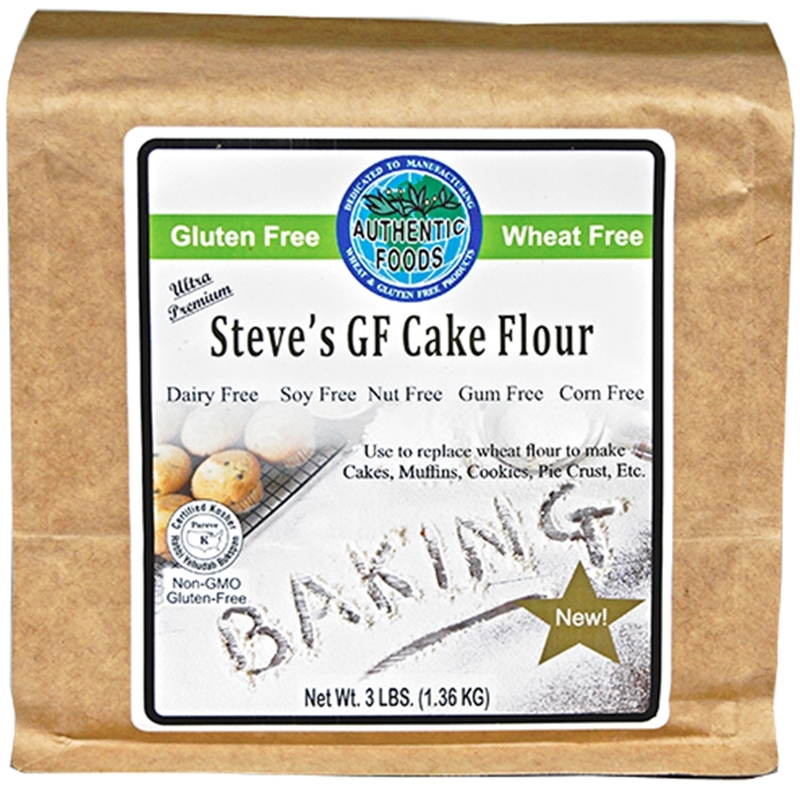 Almost every receipe uses Steve's Cake Flour Blend. More information about this book can be found at Amazon's web site. I have tested this flour with a number of family recipes, including my toughest-- an angel food cake handed down from grandmother who got it from a professional baker in the 1800s. It's a touchy recipe, but came out PERFECT substituting Steve's Cake Flour Blend for regular cake flour. The only reason to use anything else is if you want to make bread-- then use the incomparable Steve's GF Blend. If you want to try the angel food cake with this cake flour for yourself, it's: ANGEL FOOD CAKE: First: Preheat your oven to 425 degrees with the angel food cake pan in it. Lightly froth 1 1/2 cup fresh egg whites (or a 16oz jar of Eggology egg whites). Then add to the egg white froth: 1 tsp cream of tartar, 1/4 teaspoon salt, 2 Tablespoons ice water, and 1 teaspoon vanilla extract. Beat until it creates firm peaks (but not dry). Now prepare the dry mix you'll fold into the above. Sift together 5 times: 1 cup sugar, 1 cup sifted powdered sugar, and 1 cup sifted Steve's cake flour blend. Gently fold the dry ingredients into the egg white mix above and spoon the batter into the preheated pan. Lightly cover the top of the pan with aluminum foil and bake at 425 degrees for 15 minutes, then remove aluminum foil from top and bake another 15 minutes. Cool upside down. Enjoy. I finally had some time this morning to try out my favorite banana bread recipe that we haven’t been able to eat since my daughter and I were diagnosed with Celiac last summer. I used the GF cake flour I bought that day from you. I have to say, the taste was spot on. The rise was only slightly less than with wheat flour, but the loaf had that terrific, spongy, cake-y texture and tasted exactly like my old recipe. I am really excited to try this blend with some of my other favorite breads (pumpkin ginger, zucchini etc.). I haven’t worked with the flour blend yet for bread but I will give it a try in the coming weeks.